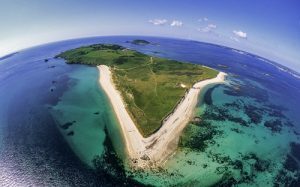 For an island that is just a mile and a half long and half a mile wide, Herm has a fascinating history along with breath-taking views and a lot of off-lead walking. There are small areas where polite signs ask that dogs be kept on leads near the power station and the shops, but apart from that, dogs can sniff and roam free at their own pace. In addition to its unspoilt natural environment, there is much to see such as a tiny prison built in the shame of a beehive, a Neolithic burial chamber and Shell Beach, made up of small broken shells.  Search Herm’s dog-friendly businesses and locations here. When taking the small ferry from Guernsey to Herm, you are allowed to take your dog to your seat (as long as they’re on their lead) where they can stretch out. This short twenty minute ferry ride takes you to one of two landing points. Unfortunately, dogs are not allowed on any of Herm’s beaches between 1 May and 30 September at any time, including Shell Beach, Belvoir Bay, Fisherman’s Beach and the stretch of beach in front of the White House Hotel to the Harbour jetty.